If I was to say 'Youtuber merch' a few things might pop into your head; oversized hoodies, garish snapbacks and a lot of popsockets, right? 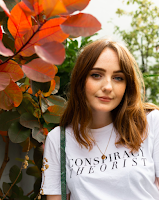 I never thought I'd be one to share Youtuber merch on my blog, but then the absolute babe that is Tar Mar came along and dropped these t-shirts. Conspiracy theorist written across my chest? I couldn't resist. 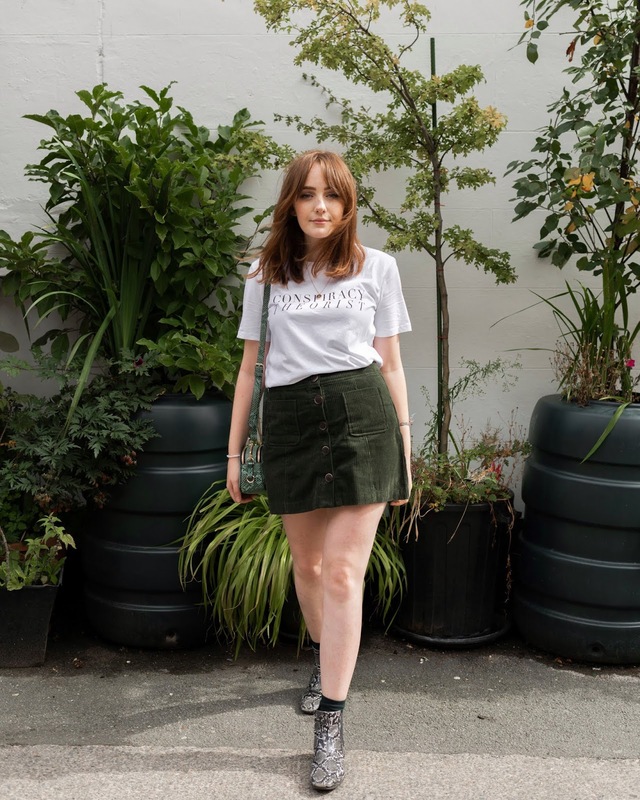 As an avid watcher of Shane Dawson videos and a huge fan of Tar Mar's effortless style, it's like all of my dreams have come true - these tees are nothing to do with Shane, but honestly it's like it was written in the stars for me. 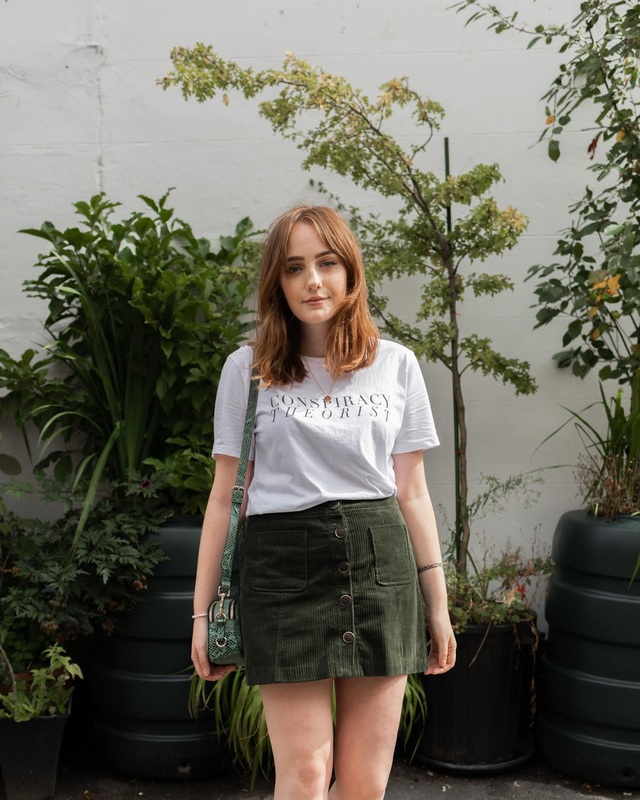 Pretty much as soon as this t-shirt arrived, I styled it up for a bit of good old transitional dressing. Cord skirt and boots? V autumnal. Bare legs? Still clinging on to summer. These t-shirts are 100% organic cotton, soft af and excellent quality for £22. The 'part time alien' and 'conspiracy theorist' t-shirts were only available to order for a short time, but I'm sure they'll be back, so keep an eye out on Tar Mar's channel. In ode to Tar Mar, I wanted to go a little minimalistic on the top half, with just a simple gold necklace from Topshop. I'm on a bit of a layering gold necklaces hype atm, which of these guys shall I add to my basket? 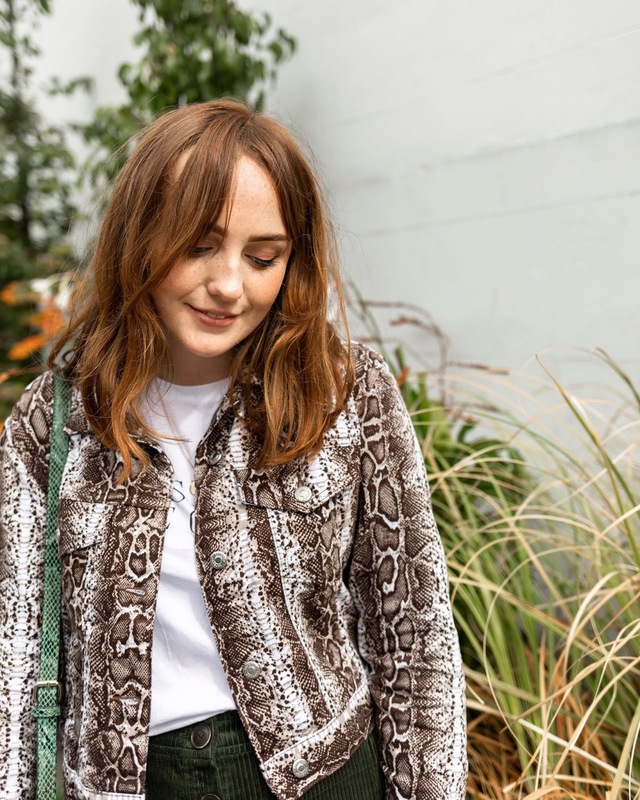 Of course, a simple tee is a great excuse to wear my new Topshop snake print jacket. I love this thing, and I'm SO glad I ordered it, although I'm yet to buy the matching skirt to make it a co-ord... And I thought, what the hell, let's go all out with the snake print, pairing the jacket with my good old snake boots and green snake print bag. Note not just the co-ordinating on the print front, but on the colour front here too. Matching socks to my skirt? Oh yeah. With the amazing sock wall in newly-opened Arket in Liverpool One, I'll certainly be stocking up on socks to match the rest of my outfits. It's funny how tiny little details like this, that maybe only I would notice, can make such a big difference to how I feel about an outfit. 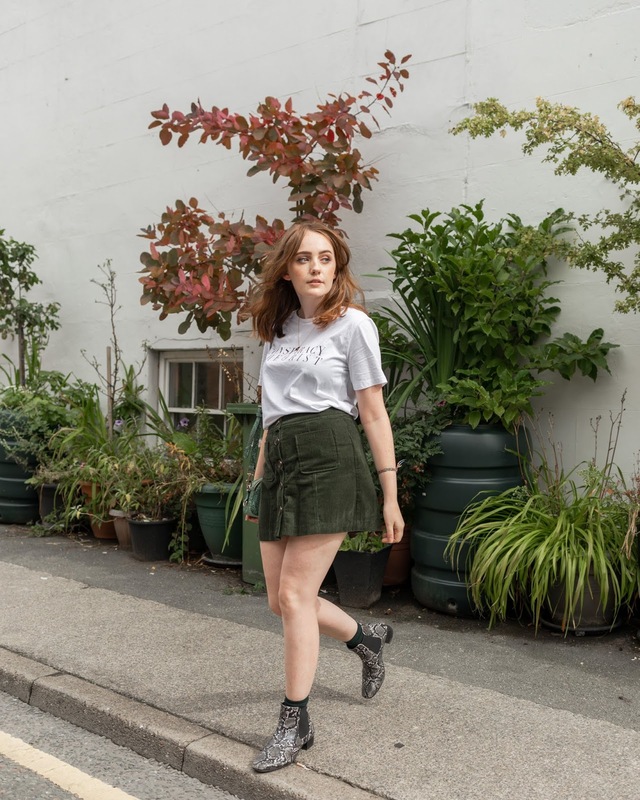 Small things like this are a great way to bring an outfit together and take 't-shirt and skirt' to a full on look. So there's my first transitional outfit for this season for you. There will be a couple more on the way, with another also being shot by Anthony Lee (how good did he do with these shots?!). Giz' a follow on Instagram if you want to know when the next one will be up, and if you want to make me smile, of course.